Our members' initial reactions to the Rig have been positive! In order to keep this area running smoothly, we're asking that everyone take a look at these guidelines. Please do not remove any equipment or attachments from this space. Ask if you may "work in", and always allow others the same courtesy. 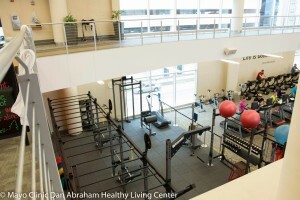 Bags, jackets and large personal items are not permitted on the fitness floor. Members are responsible for the proper use of equipment and to abide by staff requests. To prevent injury, weights should not be dropped or thrown. Coaches are available for spotting if needed. Inquire at the Fitness Desk. Notify DAHLC staff about any equipment issues or concerns. Space closures are available on the calendars located on the outside of the zones. Let's get your new Training Zone off to a great start!